All fax cover sheets must contain a confidentiality statement notifying the receiver they are responsible for maintaining confidentiality of the information received, and requesting that the receiver destroy the fax and notify the sender when they receive material intended for another party. We always must verify the digital display of the fax number. If a fax was sent to a wrong recipient, they should be contacted immediately and request that fax information be shredded. Any violation of the fax usage policy needs to be reported immediately to the privacy officer. 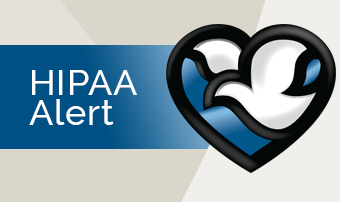 If you have any questions about how Methodist handles HIPAA security, please contact HIPAA Privacy Officer Zorana Vojnovic at 354-6863 or zorana.vojnovic@nmhs.org.